a healthy dose of fun. It allows everyone to feel like part of something great that is shared and experienced by all. With decentralized physical workspaces today, the integration of new technology in an office redesign can facilitate both efficiency and flexibility between teams, clients, and offices and closes the physical gap between people working together. At Deutser, we always said that we believed the office environment was important. We always had very nice offices decorated with beautiful carpets, nice furniture, and artwork to support the space. In hindsight, we were compliant with our space. Only when we identified and defined our behavioral expectations and created “our way,” were we able to create an environment that was absolutely committed in every way. We had finally found the right space for our growing group, a space that we could build out to our own specifications and one that would allow us to be intentional about every decision that would affect the environment where we created our work and partnered with our clients. Business leaders take note: everything in your office should be intentional. At Deutser, it was important to us that every decision had a story and that our physical space had meaning. Our full staff worked together to co-create the ideas that became our working environment and where we would all collaborate daily. This was not just about design and making a statement, which it does, it is about fundamentally rethinking how we work and interact and how we insert new ways to drive productivity and performance. Let me take you on a tour of Deutser. This was one of the first areas that defined Deutser in alignment with our belief in the importance of learning agility and learning from experience, one of our competencies. 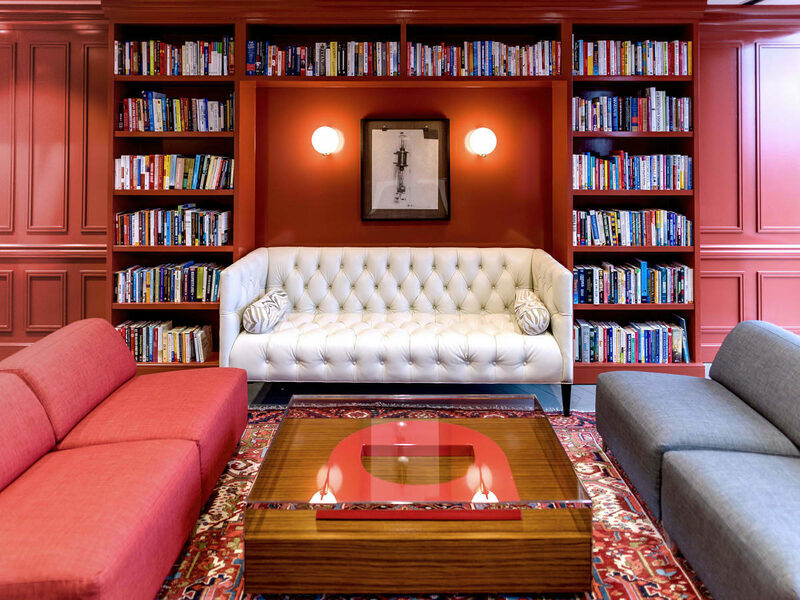 Our library rests on beautiful high-gloss shelved bookcases that you’ll find as you enter our office. These shelves are filled with leading business books, with the left section representing strategy and the right section containing our creative and design books. The center section that connects them is where we shelve our culture and leadership books. This provides a tangible testament to the unbreakable link that culture and leadership provide companies. a vibrant blue sky. 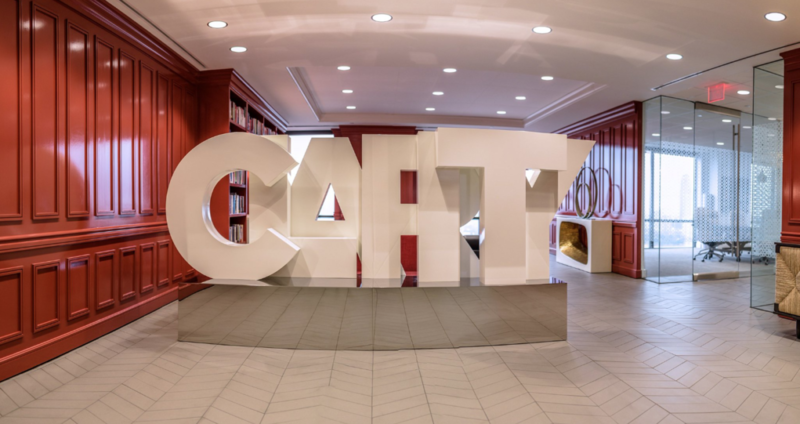 People were a bit skeptical when I decided to partially obscure the view by installing a large sculpture in our entrance that featured enormous white letters that spell one word: CLARITY. its meaning. There are many messages embedded in this 10-foot wide sculpture, the first is that clarity is often in front of us even if it is sometimes difficult to see. Also, I wanted every employee to pass by that sculpture and embrace why we’re here. The unexpected intrusion of the word often prompts visitors and clients to understand that we are serious about Clarity! 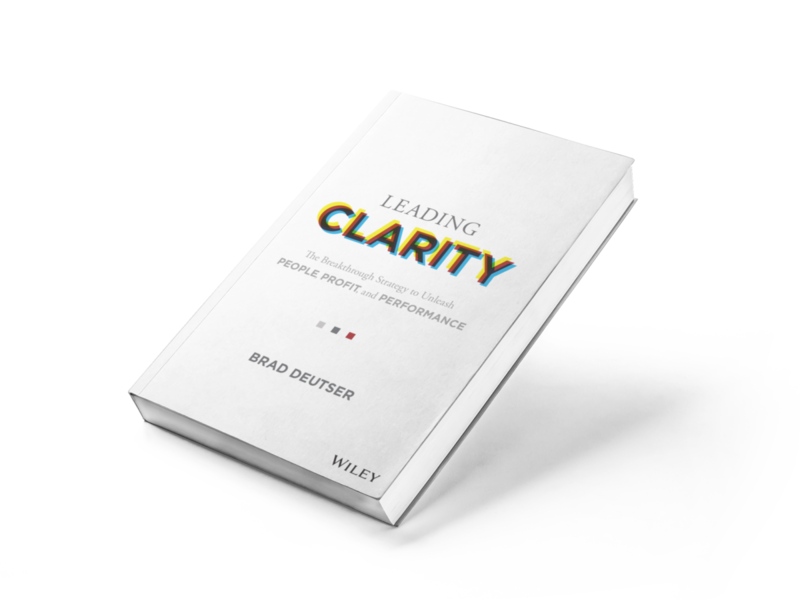 Many have mentioned that it immediately both inspires and energizes them to find what they came here for: clarity about their own business conundrums. to have some tone and texture to it. 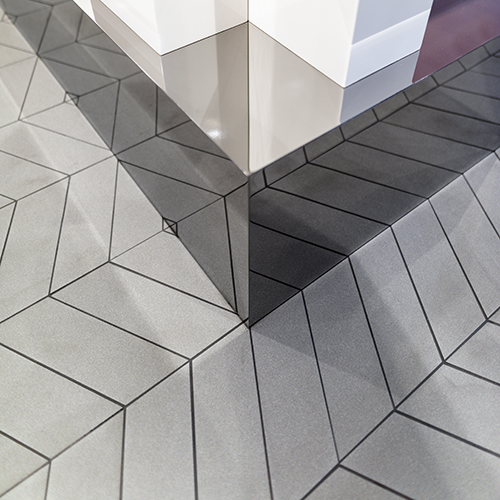 The light gray coloring of the tile, carpet, and flooring is designed to represent the ambiguity and gray matter executives walk through and work to navigate every day. The pattern of the tile subtly represents the waves of the ocean, which is designed to remind us of the ups and downs and constant change that organizations and individuals face. Throughout the office you’ll find the Deutser colors—the gray, which is Pantone Cool Gray 10, represents the gray areas that leaders must deal with every day. Our Deutser red is a specially formulated color that represents the vibrancy and purposeful nature of solution. These colors remind us of our core message. 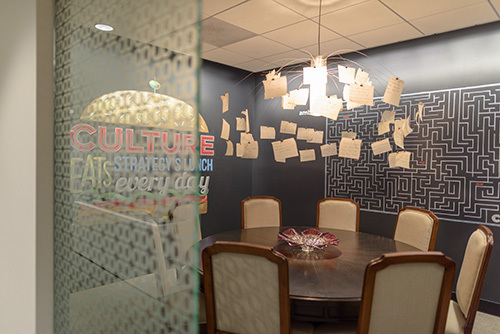 This room features chalkboard walls with powerful, culture-focused graffiti graphics drawn in chalk and a low-hanging chandelier that allows for paper handwritten notes to be clipped to it. This room helps infuse us with creativity and reminds us to not get too attached to any one idea as the drawings we enjoy one day may be replaced with something else in the coming days. This is a stark white room that provides a mind respite and a reset to neutral. There are white glass surfaces filling every wall and a special white conference table that doubles as a Ping Pong table, with the net properly placed in the middle to reinforce the hurdles and necessary exchanges that organizations must deal with every day. 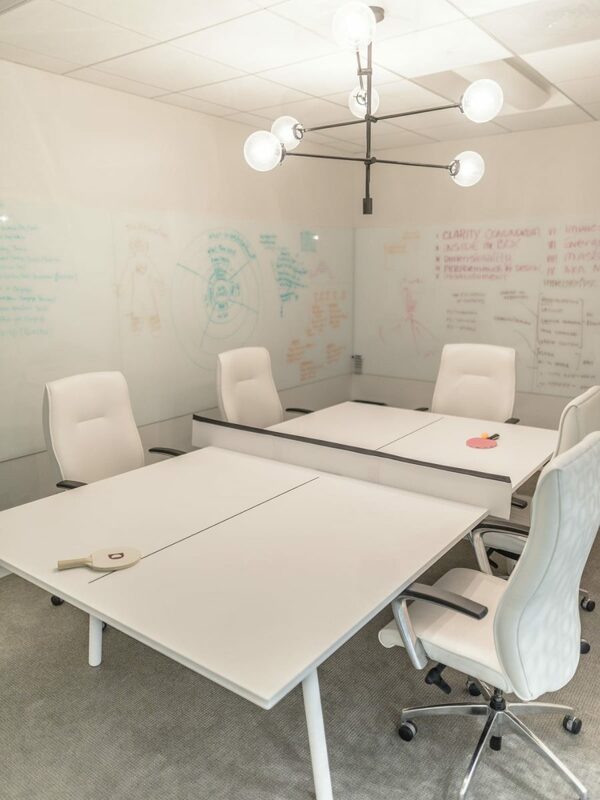 Just by its name and clean construct (without the multicolored Dry-Erase Marker drawings and words on the glass boards), it encourages free, unfiltered thought and creativity. 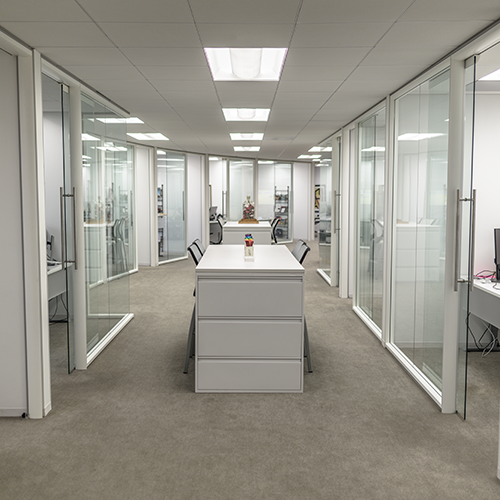 As you walk down our hallway, you’ll find offices on both sides along with a series of three standing-height tables in the center. These are our collaboration stations where staff are encouraged to meet in the middle for purposeful collaborations. Each station has a different intention. The first station (topped with a whimsical display of colored pens) is our “color your world” station, which encourages any and all colorful conversations. The second station (with a set of gratitude cards, a set of positivity cards, and a set of happiness cards, each with blank backs for personal thoughts to be placed in an oversized old glass jar) is known for “grounded conversations,” which encourages grateful, focused conversation. The third station (appropriately topped with all different-sized Stickie notes and Sharpie markers) is for “sticky conversations,” where we meet to hash out sticky, more challenging issues. Much like our Huemanize Mind Map in chapter four, these stations prompt a mindset where the act of meeting there informs intention. 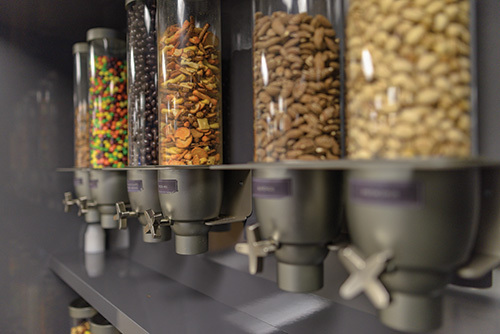 This wall of easily accessible and well-stocked snacks encourages choice by offering both healthy and unhealthy snacks. Regardless of your food choice, there is always camaraderie and some quick sustenance to be found. This room speaks to clarity of mind and intention as much as any space in the office. It offers a special retreat for employees and guests, giving us a place to pause, center ourselves, practice daily morning meditations, and connect with what is meaningful. 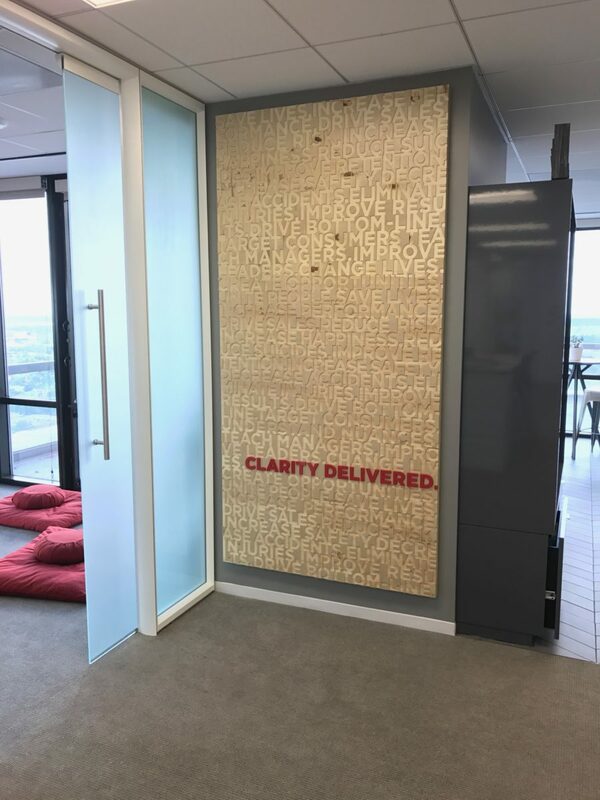 There is a wall with a special wallpaper we created with an image of a mandala, appropriately called Trajectory, to encourage focus and to increase the trajectory of thought and expectation for the day. 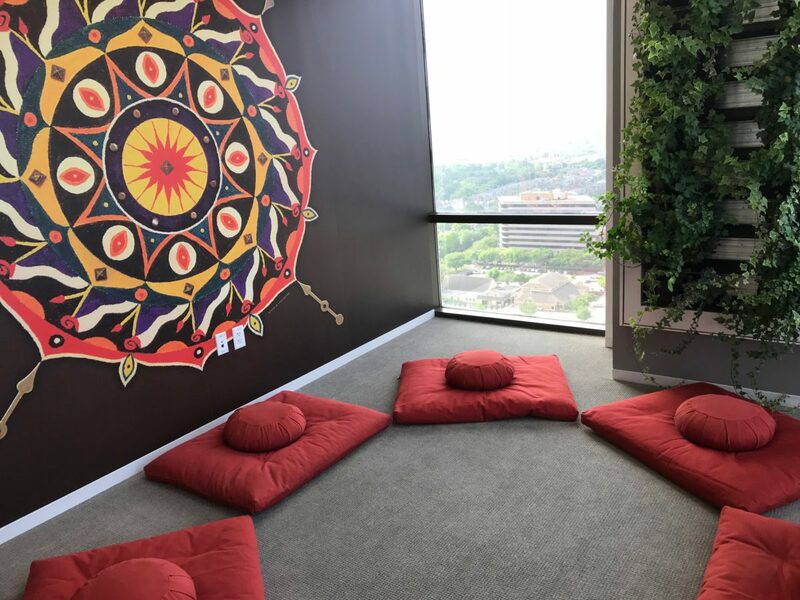 The room also has Deutser-Red meditation pillows covering the floor, a live wall of plants and herbs, a tabletop waterfall, a diffuser with essential oils, and anything else we can add to support the clarity of thought for each of our people. 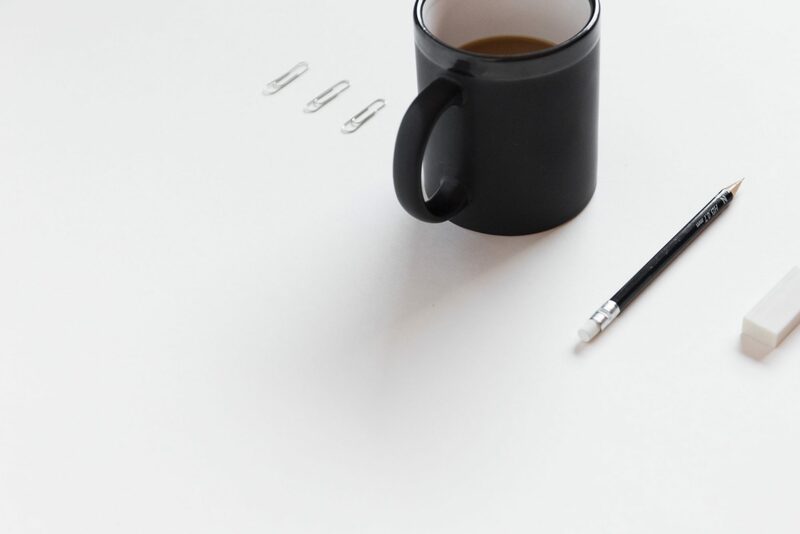 The wall originally read, “The only lines we care about are our clients’ growing bottom lines.” Well, when our client challenged us on the message and intentionality of it, we started over. We designed an interesting piece of art—a raw, eight- foot piece of wood with a message routed in the wood. As you can see, environmental design tied to culture is an important element of organizations in every industry. Everything in our space affects the way we work and has fundamentally changed the level of collaboration, creativity, and performance. That is true for many of the organizations that we work with as well.